It’s time to upgrade your bathroom or design a new one; how exciting! 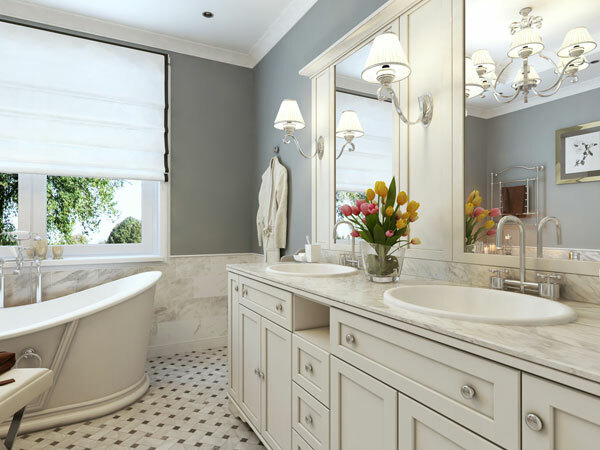 When selecting the right materials, you’ll need to keep in mind the size of your bathroom and the overall look and feel you are trying to accomplish. What style are you envisioning? Is it a modern look or a classical look? One important area that will serve as the focal point upon entry is your bathroom vanity. 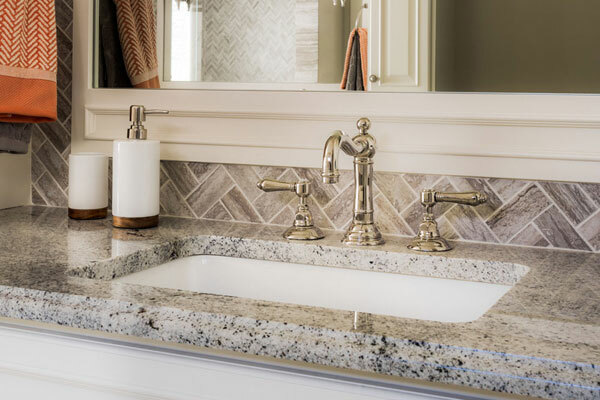 This is your moment to shine, so make sure you select your bathroom vanity counter and sinks from Kawkawlin Stone. We offer high quality natural stone products that can be customized and fabricated just for you. We take into consideration your goals and purpose for your bathroom all the while keeping functionality in the back of our minds. If you have a large family, we would suggest a bathroom vanity that accommodates two sinks to help keep the traffic flow moving smoothly. You will want to choose a lasting finish that is tough enough to withstand the daily wear and tear of hand washings and teeth brushings while capturing the elegance and aesthetic appeal you are looking for. With hundreds of styles to choose from, we are able to suggest a number of combinations to make the perfect bathroom vanity that will benefit and suit you and your family’s needs. We’re excited to start your next project with you!